Yes, you will be able to store coats or bags in a designated area at the venue while you enjoy yourself. Yes, there will be a lost property area. What will I be able to buy at FINAL FANTASY XIV – FAN FESTIVAL? A wide range of FFXIV merchandise will available at the venue. You will also be able to pre-purchase items (pending availability) and save time on queuing on the days of the event. We will publicly post the merchandise page at a later date. 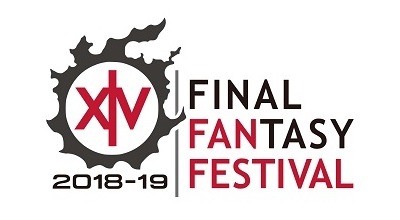 Although the event is happening in France, the European Fan Festival will be an international event and we will be hosting everything in English. However, staff members throughout the venue will wear badges indicated the languages they speak. Yes, you will be able to purchase food and beverages at the event. Yes, but you may not bring alcohol. Don’t worry though, we will have food and drinks available for purchase during the event. Can I bring a camera/video camera? Absolutely, please do! We want you to have photos to remember your day! Please note that there may be some areas where, or some times when, the use of photographic or recording equipment is prohibited, but we will make it clear at the event when and where you can/cannot take photos. Will the event be recorded/stream? Fan Festival will be live streamed on the internet. The streams will be available free of charge. All stage events, aside from the concerts, will be available on the live stream. Can I leave the event and come back later? You’ll be given a wristband when you enter, so as long as you keep that with you you’ll be free to leave/return as you please. Please note that wristbands are non-transferrable, so you may not give your wristband to someone else, or receive someone else’s wristbands; anyone with a transferred wristband will be denied re-entry.